Born at Markdale, Ontario on 12 June 1855, son of William Hanbury and Jane Whitby, brother of William Hanbury, he left home at the age of 10 years, farmed for five years then learned the trade of plasterer, mason and bricklayer. He later went into the contracting business. 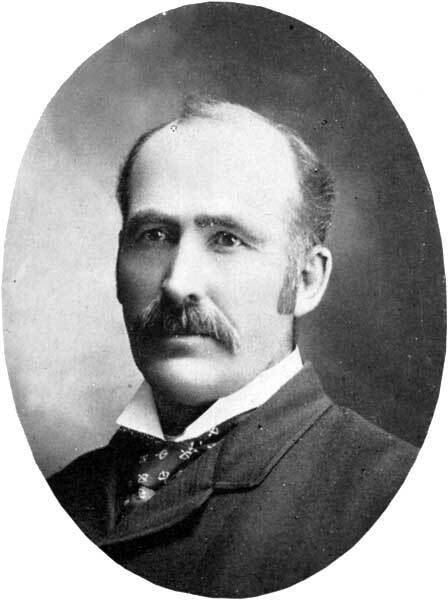 He moved to Brandon in January 1882 and resumed his the contracting business, being responsible for construction of the Post Office, Merchants Block, Langham Hotel, General Hospital, and many other buildings in Brandon. He continued this work until 1892 when he began the Hanbury Manufacturing Company, specializing in doors, windows, and other house fixtures. In 1898 he purchased the assets of the Assiniboine Lumber Company, including a saw mill at Brandon and timber-cutting rights in the Duck Mountains. At one point, he employed two hundred men, and established mills at Cranbrook, Elko and Van Couser, BC. In 1901 he organized the Manitoba Hardware & Lumber Company, with himself as President, head office at Brandon, and branches at Hamiota, Miniota, Virden, and Reston. On 10 February 1880 he married Martha Miles (?-1898) of Osprey, Ontario. They had eight children: Martha Hanbury (wife of A. B. Fleming), Edgar John Hanbury, George Richmond Hanbury, Wilfred Hanbury, Ella May Hanbury, Lawrence Martin Hanbury, Edith Hanbury, and Mary Victoria Hanbury. On 5 September 1899, he married Minnie Isbister. He was a Mason, a member of the Brandon Board of Trade, Brandon Hospital Board, and served on the Brandon City Council. His Brandon home, built around 1908 at the corner of Fifth Street and Lorne Avenue, was described at the time as being the finest frame house in Manitoba. He moved to Vancouver, British Columbia in 1910. He died at Point Grey on 3 April 1928. “Hanbury House,” Brandon Sun, 30 June 1967. “40 Years Ago Today,” Brandon Sun, 4 April 1968. Death registration, BC Vital Statistics.